With a strong jasmine flavor, it, jasmine silver needle white tea, which can be also called Mo Li Yin Zhen gives you both the health benefits of white tea and the jasmine fragrance. 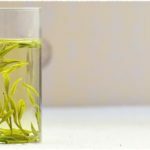 Jasmine Silver Needles is a very healthy tea and can help us keep up spirits, clear and relieve the heat, protect teeth and heart. Famous origin place of Jasmine – Guangxi Hengxian. White Tea gives you the greatest health benefits. Composed of only unopened, fresh leaf buds, none of the beneficial antioxidants and minerals in this tea have yet had a chance to used by the plant to convert to chlorophyll or other parts of an opened leaf’s structure. Scenting makes use of the good adsorption properties and aroma –release ability of tea leaves and prompts tea leaves to absorb the fragrant smell of jasmine and layer the taste. 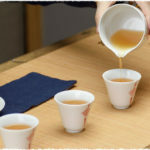 In this way, the beverage not only has jasmine flavor but also has white tea flavor and the taste has been prompted. 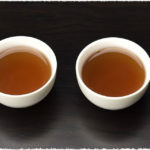 We provide 15% discount for New Tea until April 30.